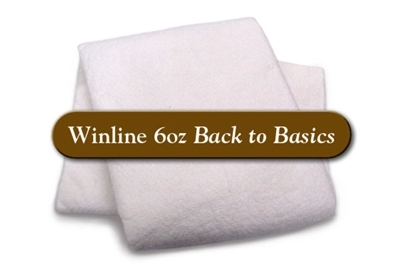 Winline Back to Basics, the perfect old-fashioned 100% pure cotton batting, with no bleach and natural fiber color. The extra weight really shows off the quilting. 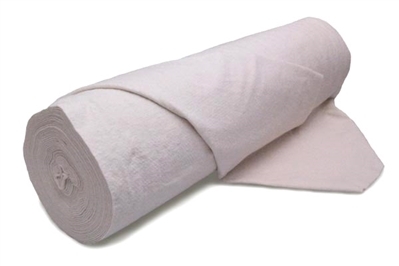 Back to Basics 6oz - Crib 45"x60"
100% Cotton batting The perfect old fashioned "back to the basic". Made with long staple cotton, no chemicals or bleaching. Excellent for hand or machine quilting. Excellent antique look. The extra weight really shows off the quilting. Back to Basics 6oz - Twin 72"X96"
100% Cotton batting. The perfect old fashioned "back to the basic". Made with long staple cotton, no chemicals or bleaching. Excellent for hand or machine quilting. Excellent antique look. The extra weight really shows off the quilting. Back to Basics 6oz - Full 81"X96"